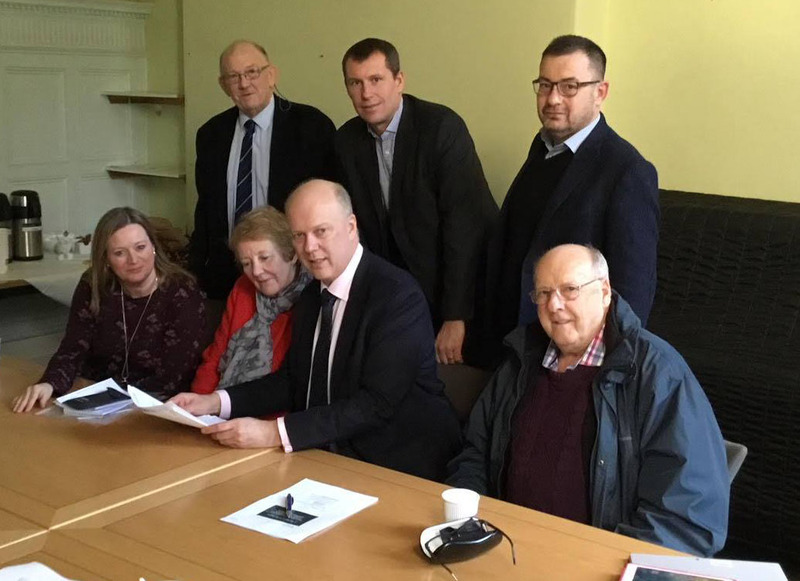 On Friday 2 February 2018, a few of the Flockton Bypass Steering Group met with Chris Grayling, Secretary of State for Transport. “It wasn’t a meeting where he could promise us anything, but it was an opportunity to discuss what’s important to the residents in Flockton. “We showed him maps and talked about the need and he emphasised how much Kirklees and the West Yorkshire Combined Authority (which runs a £1bn-plus transport programme) can do. “For us this isn’t a political issue, it’s a safety issue for our residents and it’s an issue Kirklees should deal with. Next PostNext A Lot of Mud!